I’m covering the Jurupa Valley-Jurupa Valley Patriot varsity football game tonight, Thursday, Oct. 5, 2017, for The Press-Enterprise and the Southern California Newspaper Group. Kickoff is set for 7 p.m. at Rubidoux High School. JURUPA VALLEY (1-4 overall, 0-0 Inland Valley) had looked like it had turned a corner with a nice win over Arroyo Valley in Week 3, but any momentum has stopped with a lopsided 55-20 loss at Ontario in Week 4. What can we expect from the Jaguars after a week off and on opening night of league play? Stats are not on MaxPreps.com so it’s a little hard to get a grip on who is contributing, but a few seniors like WR/DB Jorge Valencia and DE/TE Camrin Stoye catch the eye. 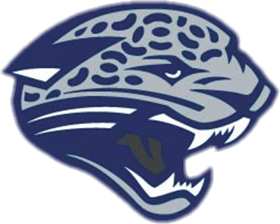 JURUPA VALLEY PATRIOT (4-1 overall, 0-0 Inland Valley) got out to a hot start with a 21-20 victory over Rubidoux in Week 0 and has been one of the surprise success stories of the non-league season. The Warriors’ 30-27 victory over a very good Montclair team has cemented the team as one of the best in CIF-Southern Section Division 12. Senior QB John Ober has proven to be a dynamic force in his second year running the offense, and has a chance to total more than 2,000 yards this season. Is this still a rivalry game? Chris Fowler’s crew looks likely to run away with this year’s matchup.